Holy Mass begins at 8:00 AM. MCLE begins at 9:00 AM. No fee for recent bar admittees, law students, and non-attorney guests. A history of declarations and laws pertaining to religious discrimination in the workplace, as well as provisions of the recently adopted California law, AB 1964, which addresses religious discrimination, accommodation and tolerance. Judge Belz was engaged in the private practice of the law for 33 years. He has extensive experience in criminal and civil litigation representing parties in the defense of criminal actions and plaintiff personal injury actions. Judge Belz was appointed to the Orange County Superior Court by Gov. Schwarzenegger in March of 2009. His assignments have been in open criminal jury trial, criminal domestic violence and direct calendar family law. 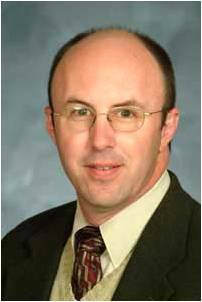 He is currently a member of the Family Law Curriculum Committee for CJER (Center for Judicial Education and Research). The presentation attempts to explain how any ethical conduct in the legal world necessitates a moral foundation built upon the cardinal virtues. The talk will thus show the need for these cardinal virtues, how to acquire them, and how they ought to be applied in the legal world. Fr. 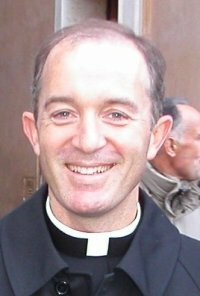 Luke Mata is a Priest of Opus Dei. He is also a Chaplain of Tilden Study Center at UCLA. Fr. Luke has a Doctorate in Moral Philosophy from the Pontifical University of the Holy Cross in Rome. He is a graduate of the University of Notre Dame, with a degree in Economics and computer applications. He graduated High School from Bergen Catholic HS in New Jersey. Fr. Luke was born in Madrid, Spain. Complications of substance abuse problems for lawyers. Ron Moore is a forensic defense attorney with the Law Offices of Virginia L. Landry, Inc., in Irvine, California. His practice focuses on defending people accused of driving under the influence of alcohol, drugs, or medication. Formerly, Mr. Moore was the Senior Forensic Scientist in charge of the Alcohol Toxicology Laboratory in the Orange County Crime Lab where he also testified as an expert in the effects and metabolism of alcohol. Mr. Moore graduated valedictorian at Western State University College of Law in 2003, and is admitted to practice before the U.S. Supreme Court. In his practice he counsels people with drug or alcohol problems as he assists them with their addiction related legal problems. Mr. Moore teaches and lectures across the country on forensic science, substance abuse, and scientific/legal ethics.